For the customer who needs minimal sizing modifications, Coppley delivers in 2 weeks. For those who require more extensive measurements, Coppley’s full Made to Measure is delivered in only 3 weeks. 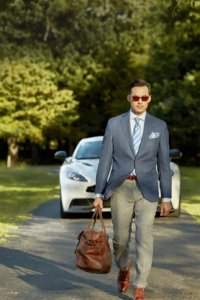 During the trunk show period, enjoy a savings of 15% off any suit, sport coat and trouser from stock or special order. 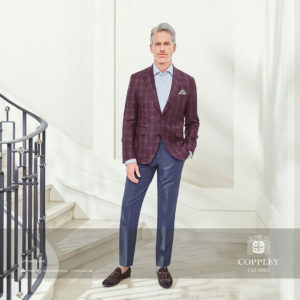 Mark Landis, Coppley’s representative, will be present to give advice on fabric, model and fit. 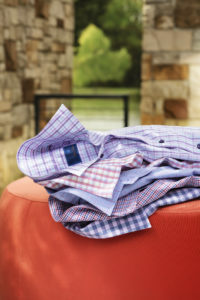 Trunk show savings will expire Saturday, March 30th. 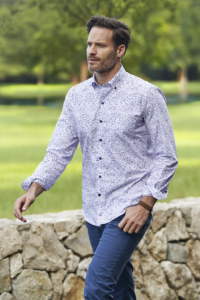 David Donahue is a collection of clothing, neckties, pocket squares and formal accessories, offering 3 fits in mens’s dress shirts and contemporary sport shirts – Regular/Classic Fit, Trim Fit and Slim Fit. Every man can look fashionable and comfortable. 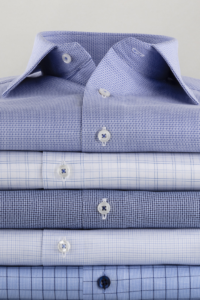 Made from 100% long staple cotton, each shirt is made with quality and attention to detail to endure that its owner looks and feels his best. 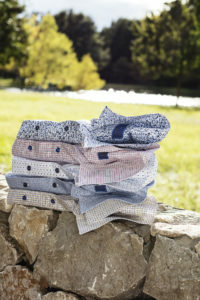 Wesley Mayeux, David Donahue’s representative, will be in the store to help you with finding the right fabric and fit.